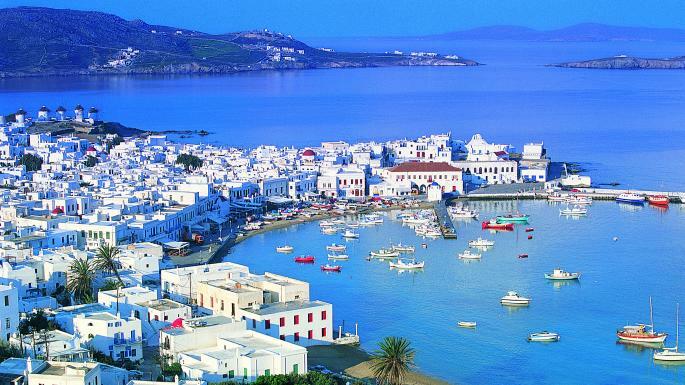 Mykonos has so many things to see or do that even one week would not be enough to explore the island. But there are cases when visitors have very limited time to spend on Mykonos, like very few days off work, a tight schedule to catch up events or even a limited budget. Whatever the reason, if you have only 48 hours to spend in Mykonos, here are the most important things to do and see. This way you will be able to feel the special lifestyle of the island and take some great memories back home with you! 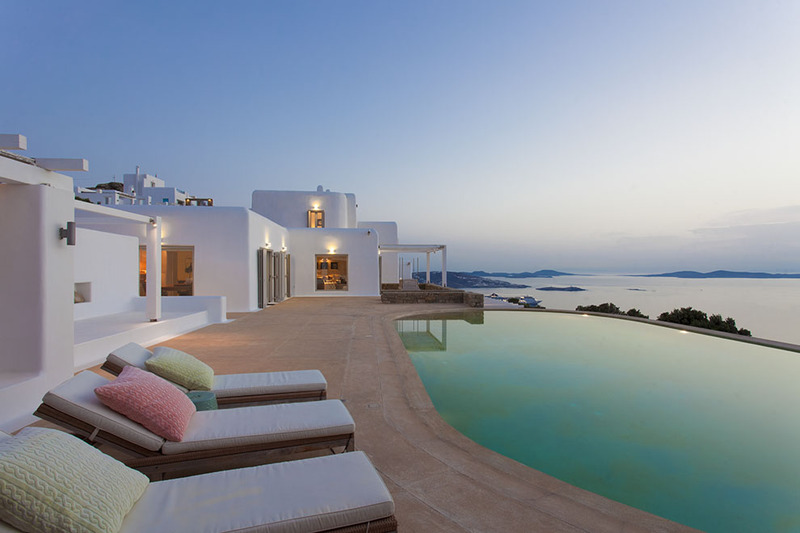 I recommend that you book a Mykonos Villa for your short stay, so that you can completely relax away from the noise and dive into the unique luxury Villas Mykonos have to offer. Eating in Mykonos is not about throwing anything in your stomach just to keep you going. The island has some of the best international chefs spending their summers here to prepare extraordinary, delicious dishes for their special guests. But apart from the international gourmet dishes you will find in many Mykonos restaurants, there are some traditional ones that are usually called “taverns”. At these local restaurants you can eat some really fresh fish and seafood and try some of the traditional Greek or Cycladic dishes. Combine your meal with a good local wine or ouzo and relax in the friendly atmosphere. Some of these taverns are Kiki’s tavern at Agios Sostis beach, Scorpios at Paraga beach, Spilia at Agia Anna, and Interni at Mykonos town. The local delicacies include wines, cheese and sweets. You will find some excellent wines from local farms and some special kinds of cheese like the well-known Kopanisti. The Windmills are the first thing you can see on Mykonos while approaching the island from the sea. They are big, imposing buildings at the end of Mykonos Town, creating a line against the strong sea winds. The Windmills were built during the 16th century to prepare food for the passing by ships, as Mykonos was a great supply port. There were more than 20 of them all over the island but only 11 survived up to now. They are not used for grinding anymore and the best preserved one is the private windmill of Geronymos. Mykonos has around 30 beaches but of course you will not be able to see all of them. To see some representative, sandy beaches of the island you should visit Super Paradise, Kalo Livadi and Paraga beaches. They all have golden sand, turquoise waters and sunbeds and umbrellas for you to relax. Super Paradise is the most famous party beach in Mykonos. During the day you can relax on a rented sun lounger or have a meal at the nearby restaurants. At night the big night clubs attract hundreds of visitors. Kalo Livadi is a lounge sandy beach, ideal for families, groups or couples. Paraga is also a party beach, organized, with restaurants and bars but not so crowded. Spend some of your limited time to go shopping in the center of Mykonos Town, where most famous brands stores are located. You will find the latest designers creations in clothes, jewelry and accessories. If you like art, Mykonos has a lot of art galleries to visit. Paintings, sculptures and small items are brought here from all around the world, created by famous or uprising artists can be found here in a variety of prices. Either from your Mykonos Villa balcony or from a café at Little Venice, you will watch a magnificent sunset. Grab an exotic cocktail and enjoy the golden shades the sun sends to the whole environment. One of the best places to enjoy Mykonos sunset is 180 Sunset Bar just outside Mykonos Town, with a panoramic view to the city, the Ocean and Delos island. If you are a meditation fan, you can participate in a sunset ritual that takes place in some of the big all day clubs at the southern beaches like Scorpios. This entry was posted in Europe, Travel on January 25, 2019 by Amélie.